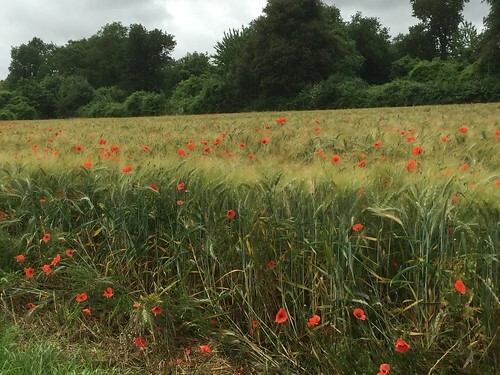 Whilst we were in France most of the corn fields had little shots of red drifting through them. It was so beautiful and eventually I stopped and took some photos of the poppies. One hundred years ago tomorrow would see the commencement of the Battle of the Somme. The poppy helps us to remember all those who died in battle. On the first day of the Battle of the Somme it is estimated that there were nearly 60,000 casualties and 20,000 of these were fatalities. So many lives lost, so much wasted talent and so many families broken. Today I went to see my Auntie Jen and took The Little Miss with me. It was so nice to have a bit of time to catch up with her as we are both always pretty busy. Auntie Jen has these lovely little chairs and table. 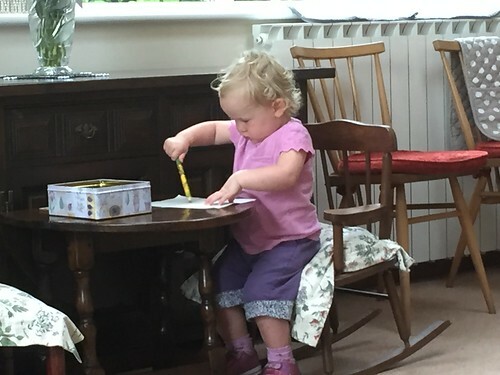 Just the right height to sit at for a bit of colouring. The vegetable patch is positively overgrown at the moment. not only all the things are meant to be there but also there are weeks everywhere. I keep digging them out but they keep coming! 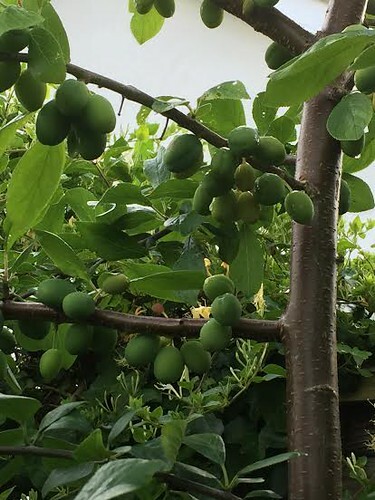 After Mum died my surrogate family sent me a little Victoria Plum tree. It has grown into this beast of a tree and is absolutely laden with fruit. We just need some decent sunshine to ripen everything up now! 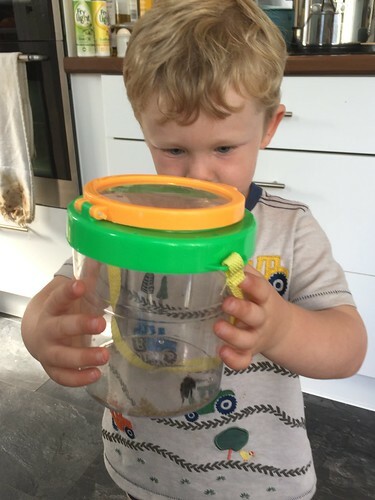 At tea-time The Little Mister was wandering around the garden with this plastic insect jar and when I asked him what he was doing he said ‘I am going to catch a bee Mummy’. Not long after he came inside with the jar with the lid firmly shut and a furious bee heading butting the plastic. The Little Mister was delighted – at this rate he is going to end up like Gerald Durrell! He is so like his father though! My brother-in-law has been involved in helping to organise a y=front run to raise money for This is Epic and MUG. 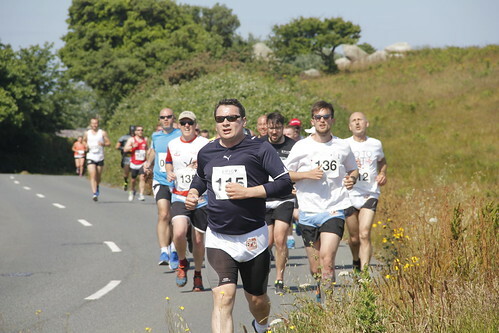 We went down to offer our support to all the insane people who went out wearing their saggy underpants and completed the run. The atmosphere was fab and everyone did a great job even if it was pretty warm. 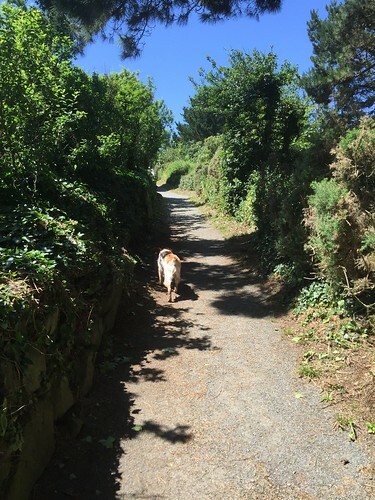 Today my sister phoned me saying she was going out with the dog right now and did I want to come for a quick walk. I dropped everything and left The Mister with the kids and joined her for a lovely hours walk. It was so nice to have a bit of time just the two of us to catch up and chat without the kids interrupting us all the time. I enjoy her company and appreciate having a sister so close, both physically and emotionally. It’s one of my many blessings. This evening I looked after my lovely niece and nephew as my mental sister was out doing a 5k sea swim. She’s insane. It was fun but carnage and the children all wind each other up loads. Sometimes it ends in tears. Sometimes it doesn’t. This photo really makes me laugh. I was saying to the kids ‘oh look at the horns on my head’ to make them look at me. 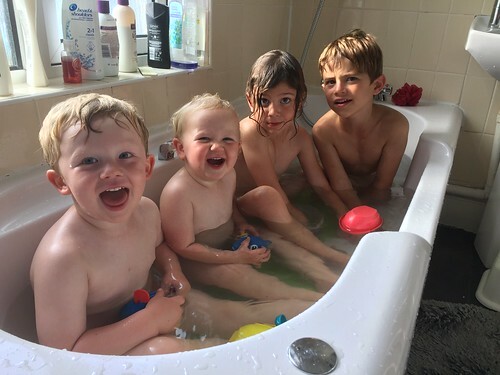 The two older children’s faces basically give off the ‘what the hell is she on about’ vibe and the two littlies are laughing their heads off. 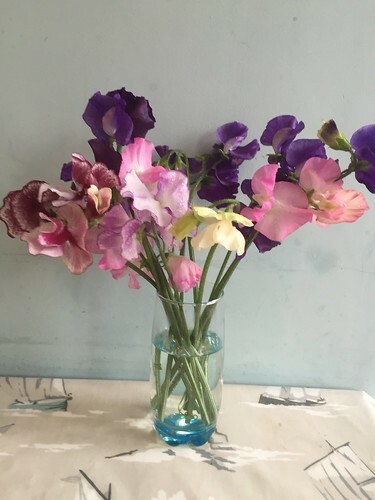 My first sweet peas of the year! They are my favourite flowers and smell lovely. The Little Mister goes to the most fantastic pre-school and they have a weekly theme. 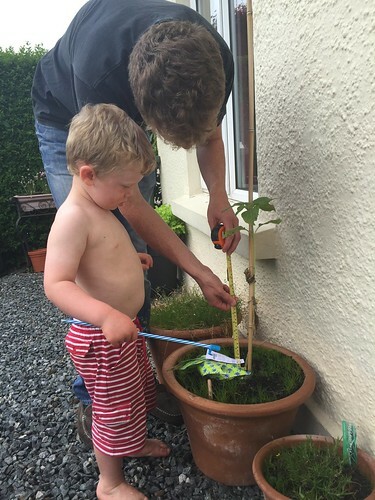 They have been doing ‘growing things’ and this week they had to measure their sunflower and bring in the results. Everything in the garden seems to be growing at the rate of knots, except for the sunflower which hasn’t grown that much. Typical. 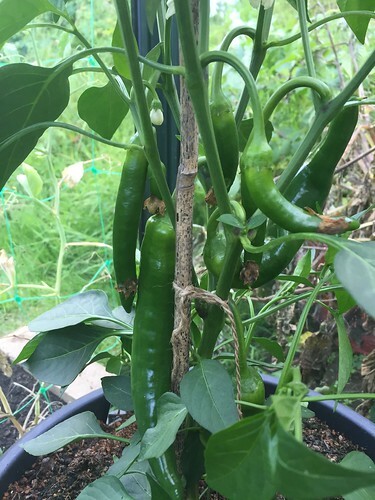 Our garden is blooming and the chilli plant in the greenhouse is growing well. There were several fruit on the plant and I assumed that they were ripe and ready for picking but The Mister seems to think I though have waited until they went red. Does anyone know?